Home Read Will 2018 Be the Year of Indiegogo? Will 2018 Be the Year of Indiegogo? For video game crowdfunding, you can do a lot better than Indiegogo. In fact, Indiegogo might be the worst option available. Between a laissez-faire approach to quality control, scams, spam, bad publicity, and allegedly misleading and unhelpful leadership, Indiegogo might be the worst crowdfunding site. Still, 2018 might be the year of Indiegogo, or at least, the year Indiegogo is marginally better than it is usually is. The reason for this is two-fold. The first point has nothing to do with the meandering collection of scrap at all. As noted by ad consultancy group and market analysis group ICO Partners, Kickstarter has had two disastrous years in a row. 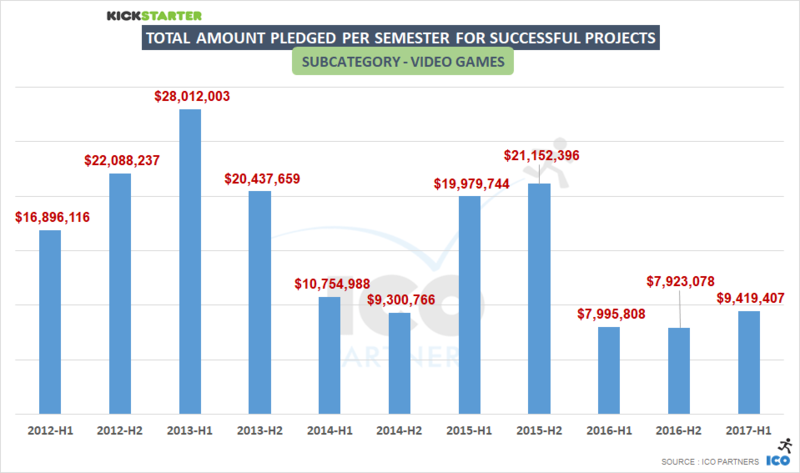 In that time, the number of video game campaigns appearing on the site has lowered, and the amount of money pledged has hit an all-time low, despite the same number of projects succeeding. In other words, Kickstarter, at least for video games, is dying. Where Did Kickstarter Go Wrong? There is no one dominate reason for this. 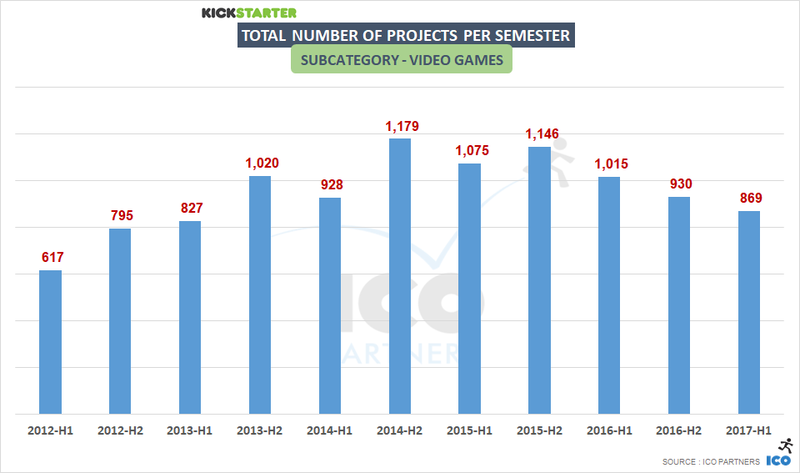 A number of factors can be blamed for Kickstarter’s sudden decline: the rise of Fig, publishers becoming more indie friendly, Kickstarter’s own slipping quality control standards, high profile failures, a plethora of abandon projects and critical disasters, and fewer people contributing to crowdfunding in general. Some of those factors affect Indiegogo as well, but if the site plays their cards right, the swooping and stealing of Kickstarter’s thunder is possible. Whether that happens will be dependent on creators, but it’s Indiegogo’s job to lure them in to begin with. Kickstarter is already trying to recapture the spotlight with a new logo, homepage, and the recently rebooted Drip program. Drip is a direct response to Patreon. There, creators join the program and backers have a chance to give them a single donation, or contribute a monthly stipend. The only difference is that on Drip, creators set a single fixed price per month, rather than the pay-what-you-want option employed by Patreon. 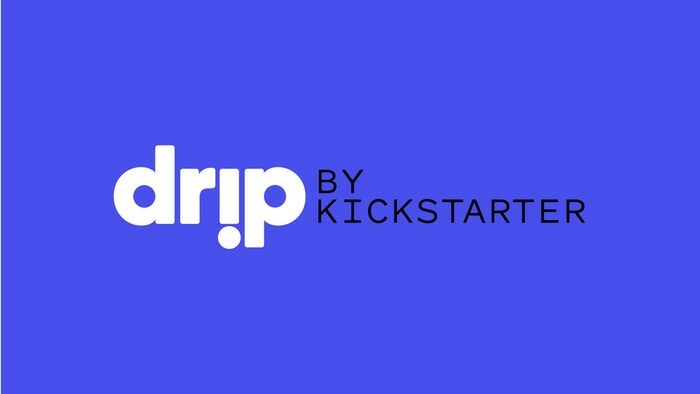 It’s hard not to look at Drip as another misstep for Kickstarter, and another opportunity for Indiegogo. Why on Earth would anyone want to be forced to pay a set price to a creator every month as if it were a Netflix subscription rather than whatever they wanted? If Indiegogo were to create a similar (or a complete copy) of Patreon, they’d be giving the site a direct competitor, and one superior to that of Kickstarter. It would also gel well with their In-Demand payment method, where you can continue supporting creators on the site well after their campaign already ended. 2018 will deliver a tidal wave of Indiegogo-funded games. The sheer volume of these alone could be enough to convince creators the site is still viable, or even more so than any other crowdfunding platform. Most of these projects aren’t like the garbage typically associated with the site, these at least look like good games. The heavy-hitter is Indivisible, which also happens to be Indiegogo’s highest-funded game. 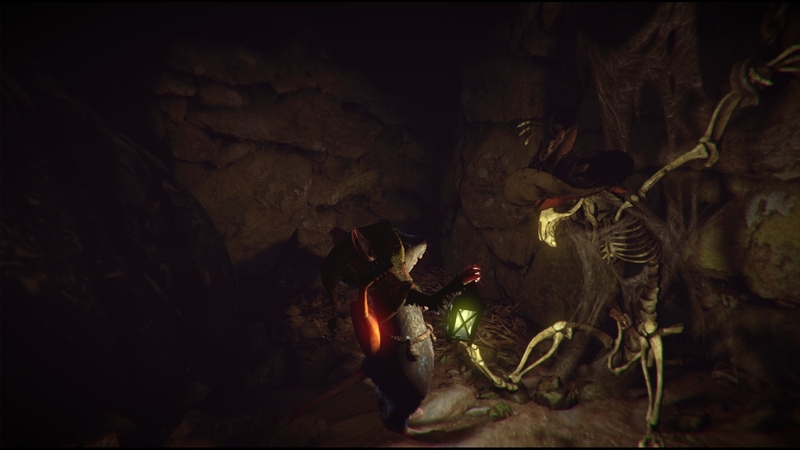 Next up at bat is Ghost of a Tale, a game that looks like a AAA game, and has already enjoyed success while in Early Access. It’s projected to receive a full release in March. 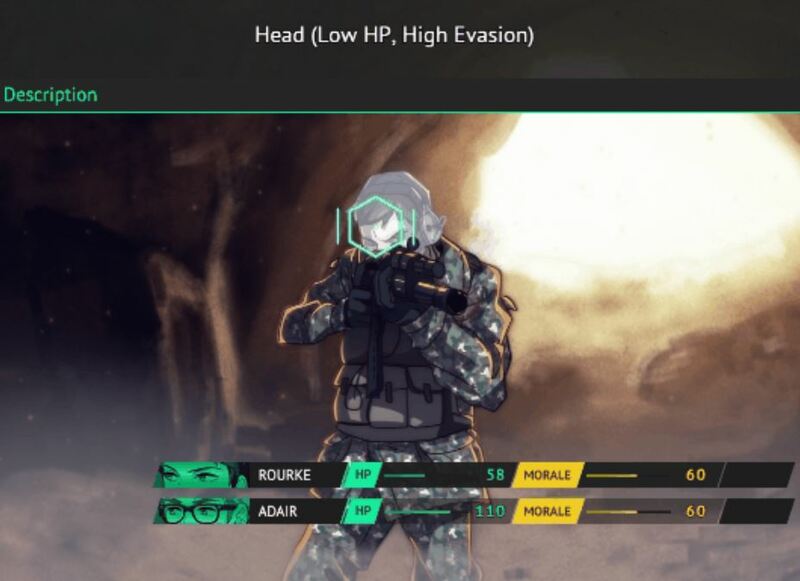 Behind those two are Long Gone Days, a hidden gem of a story-driven RPG/shooter/visual novel hybrid that seeks to tell a horrifying story of the toll war takes on society. There’s also Riot: Civil Unrest and CrossCode, both currently in Early Access and will likely see a full release next year. Shaq-Fu: A Legend Reborn might even see a release in 2018. Since it successfully raised nearly half a million dollars in 2014, the project has been flying under the radar, with the last update coming in December 2016. According to the update it’s 99% complete, so this last one percent must be a hell of a hurdle. Titanic: Honor & Glory could also rear its head. It raised only $60,405 of its $250,000, but got the money anyway due to flexible funding. The developer’s been posting demos on their website, but has admitted to not having any clue when the game will be finished. One game that will definitely, probably, maybe see the light of day next year is Love, Money, Rock’n’Roll, which illustrates the advantage a Patreon-like system on Indiegogo. Originally funded on Kickstarter, the developer then created another campaign on Indiegogo to raise additional funds on an on-going basis, and has since earned more money there than their original Kickstarter campaign. Those are just the highlights. Smaller projects, some being funded right now, will likely make their debut on a grander stage next year as well. Keep in mind we’re just talking about video game campaigns here. 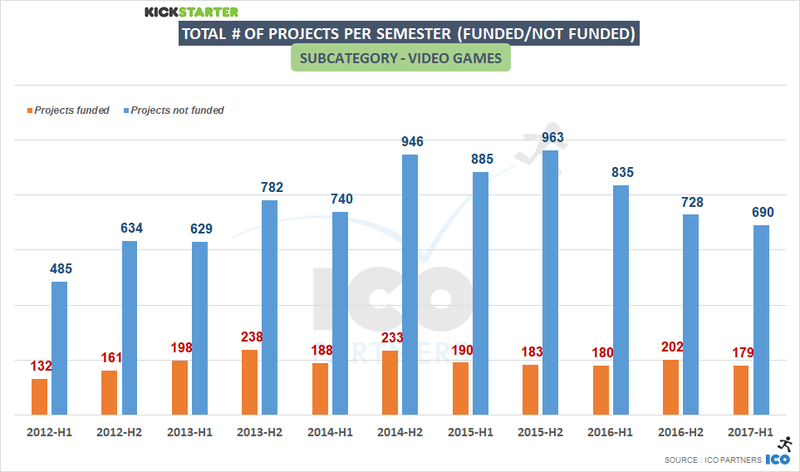 While gaming still represents Kickstarter’s biggest cash cow, Indiegogo and Patreon both rely more on other fields. Indiegogo has at least recently cleaned up their category system, separating video games into their own category, finally. It’s a small change, but may be an indication that they’re interested in stepping up their game. The pieces are falling into place for Indiegogo to play a bigger part of the indie gaming landscape in 2018. Whether or not they want to – or are capable of – grabbing those reins is a mystery. It’ll be a long shot, especially as crowdfunding in general has fallen out of favor, but you never know where the next big indie darling will come from.